Stocks are caught between a rock and a hard place. On one hand, there’s the ‘need’ for a new low (more about why this is a ‘need’ in a moment). 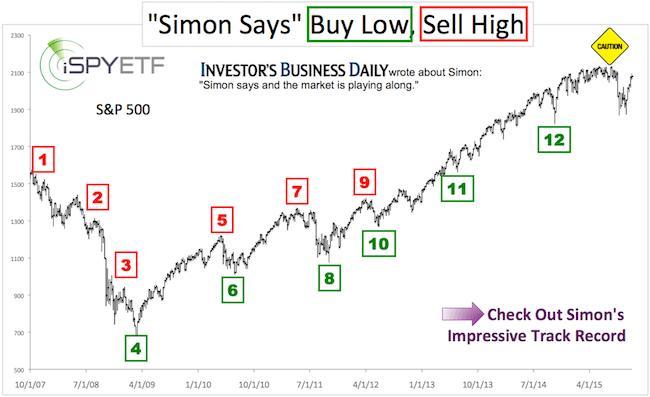 On the other hand, there’s a bullish reversal (selling climax), a breadth thrust, and an open chart gap (about 7% higher) that needs to get filled. Who will win this tug of war? Bulls or bears? Chart Gap: There is an open chart gap at 2,043. 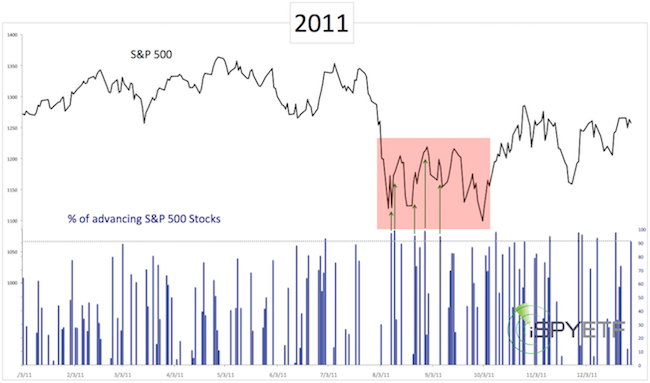 Since 2009, all open chart gaps have been closed. This one is unlikely to be different. At some point in 2016, the S&P will take care of this unfinished business. 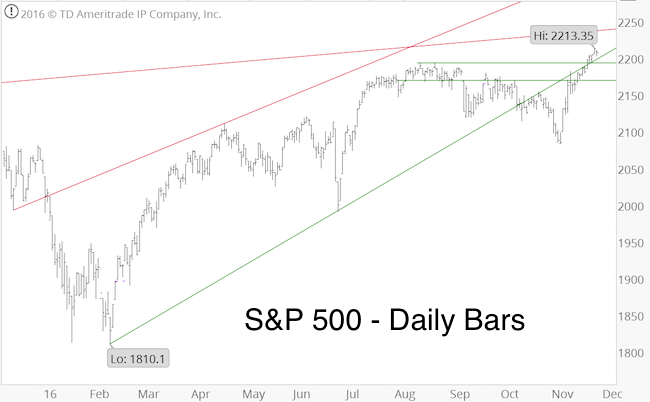 Breadth Thrust: Last Friday (January 29), the S&P 500 soared 2.42%. 92% of S&P 500 stocks ended that day with gains. This was the strongest up day since September 8, 2015. In theory, 90% up days, are an indication that buyers are ready to step up and drive price higher. But theory is not always reality. 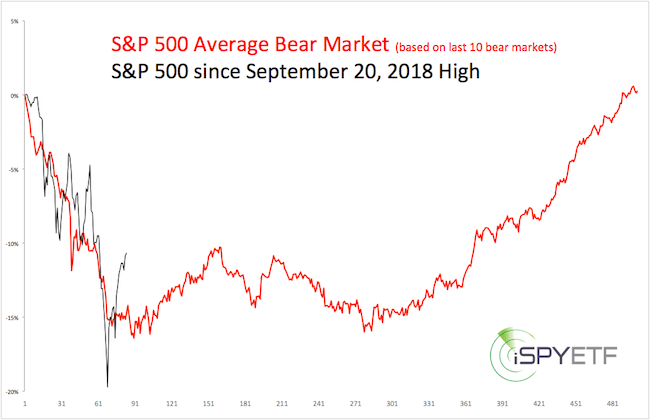 The chart below marks all recent 92% up days. 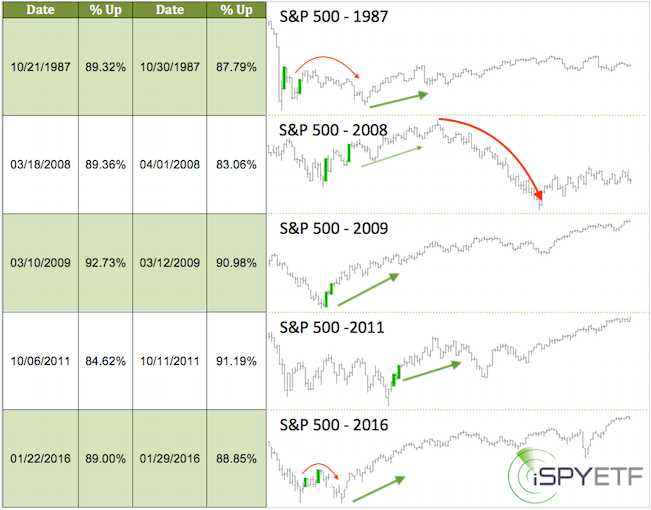 The two 92% up days during the V-shaped recoveries of 2014 led to new all-time highs. 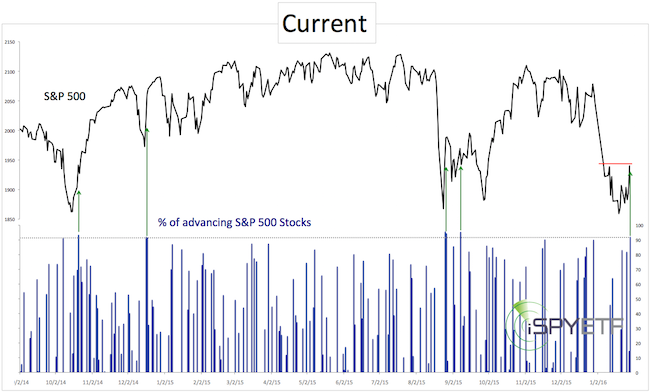 The two 92% up days in August/September 2015 were followed by a retest of the prior low. 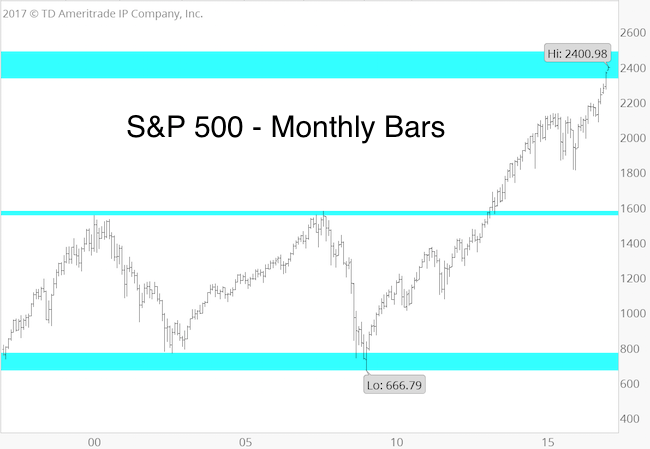 The January 24 Profit Radar Report outlined this path for the S&P 500 (solid yellow projection more likely, dashed yellow projection less likely). 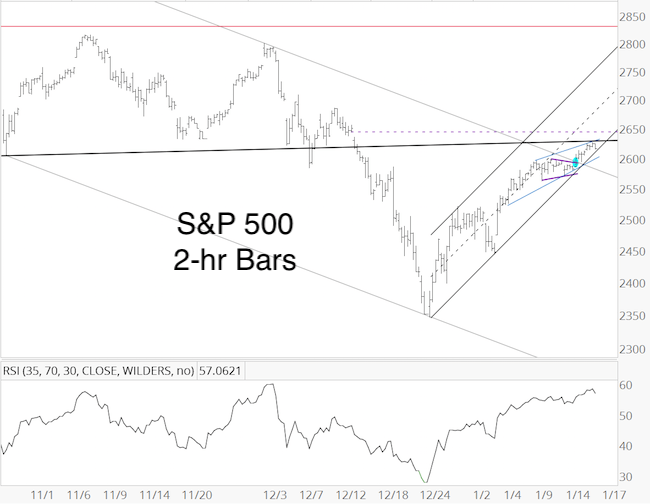 Thus far, the S&P is following the projection quite closely. 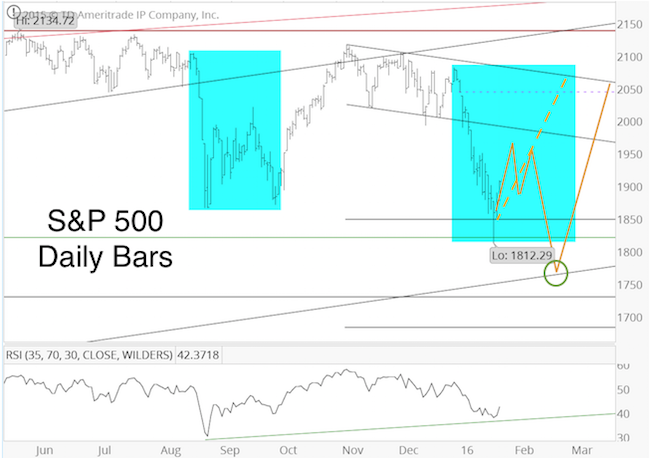 Does the January 29 breadth thrust conflict with the solid yellow projection? No. 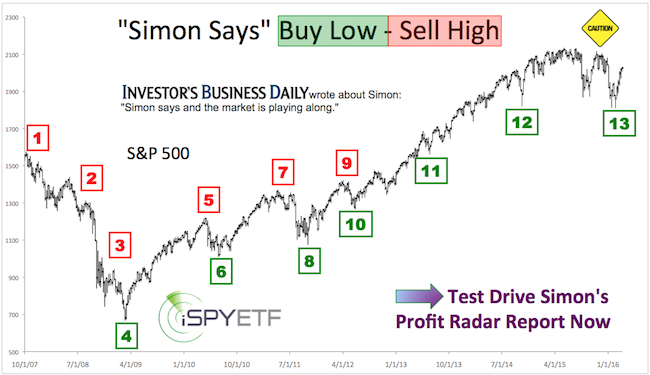 As the chart below shows, there were numerous 92%+ breadth thrusts in August/September 2011, which closely resembles the yellow projected show above. 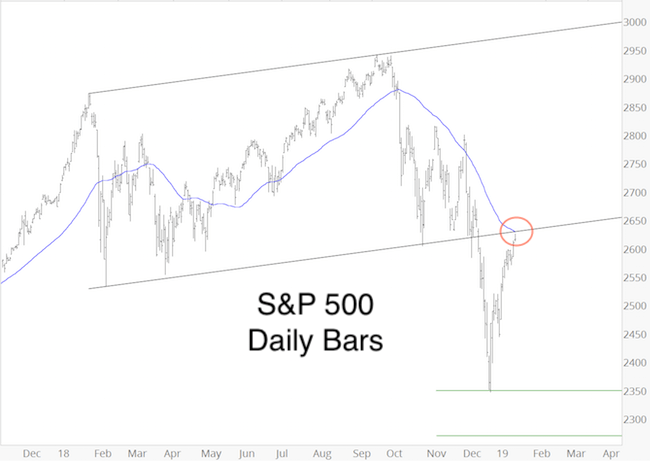 The S&P eventual dipped below its initial panic low. Why are we looking at the 2011 chart? This was the last 10%+ correction. 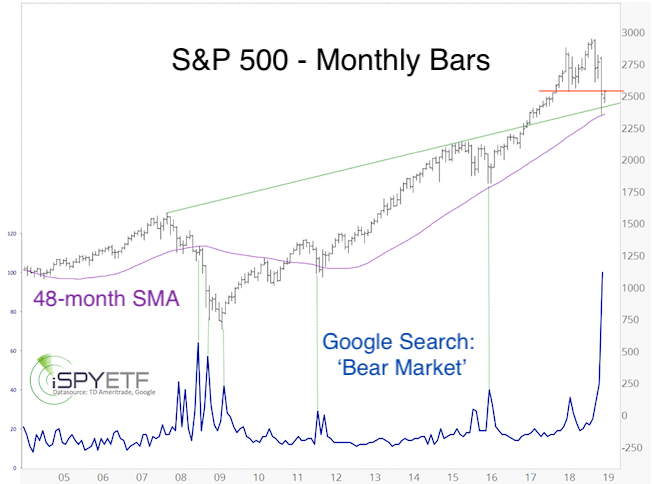 It’s been more than three years since the S&P had a 2011-style correction (2012 was the last time), where the initial panic low is broken after weeks of sideways W action. Throught 2013 and 2014 we’ve only seen V-shaped recoveries. The August/September 2015 correction was W-shaped without break of the initial panic low. This doesn’t mean a 2011 correction (W-shaped with break of the initial panic low) has to happen now, but based on the principal of alternation (the stock market rarely delivers the same pattern over and over), the odds of a 2011-style correction are higher than before. 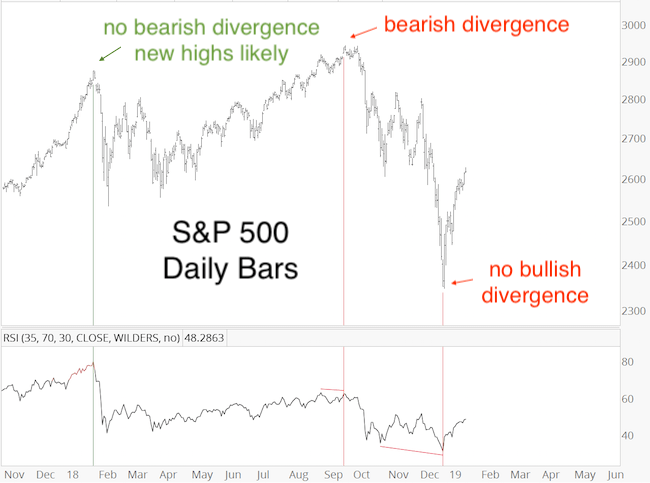 New lows against bullish divergences would likely be a good opportunity to buy. 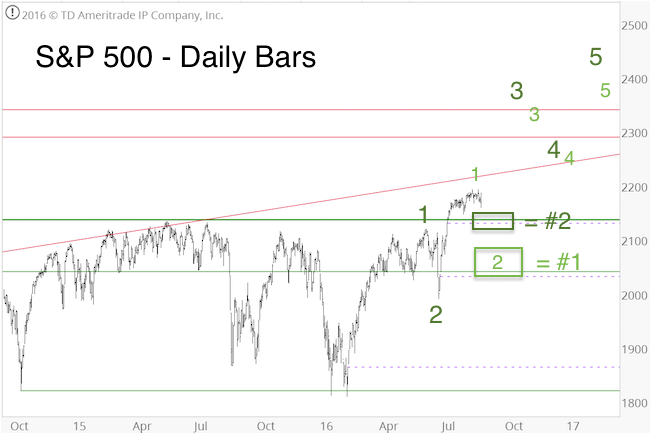 We are always looking for low-risk entry levels, thus the ‘need’ for new lows. The 2016 S&P 500 Forecast has just been published. 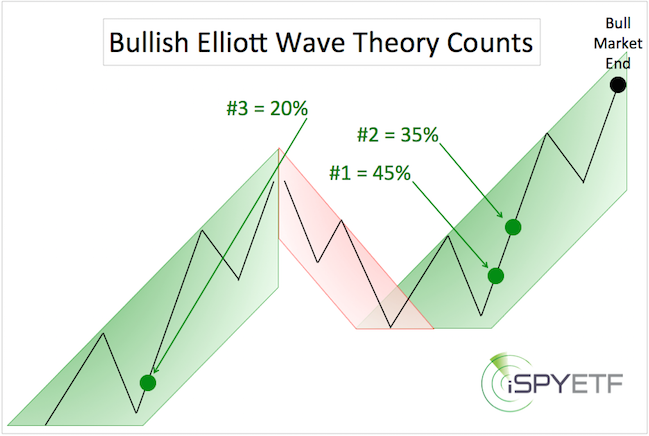 It includes a detailed analysis of supply & demand, technicals, investor sentiment, seasonality, cycles & patterns. The forecast answers whether a major top is in or not, and shows the maximum up-and down side for 2016. 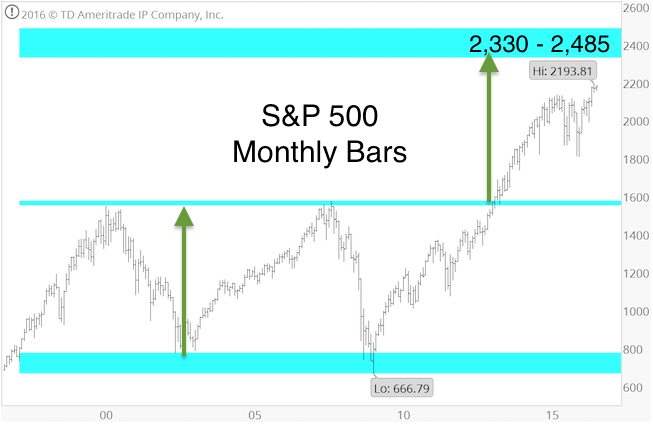 Numerous unique data points are combined to craft an actual 2016 S&P 500 performance projection chart. 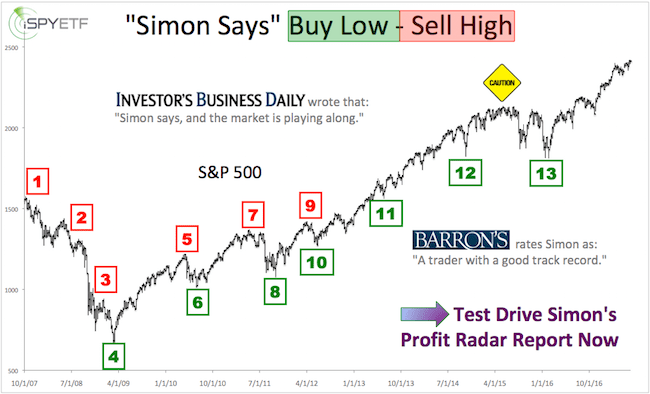 The 2016 S&P 500 Forecast is available to subscribers of the Profit Radar Report. Subscribe now and become the best-informed investor you know.